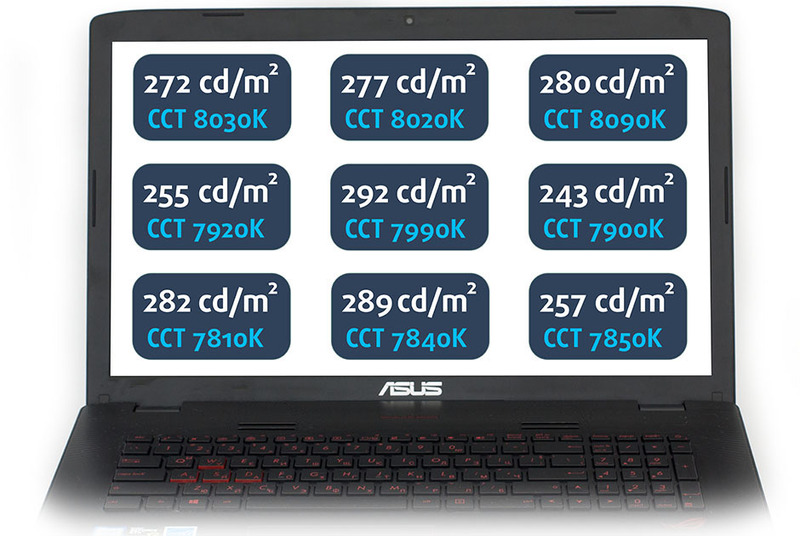 We are quite used to seeing ASUS ROG notebooks shipping with high-quality IPS panels, although some of them use PWM to adjust screen brightness, but this time, the 17-inch GL752VW is available with a TN panel. And we are somewhat disappointed, to be honest. 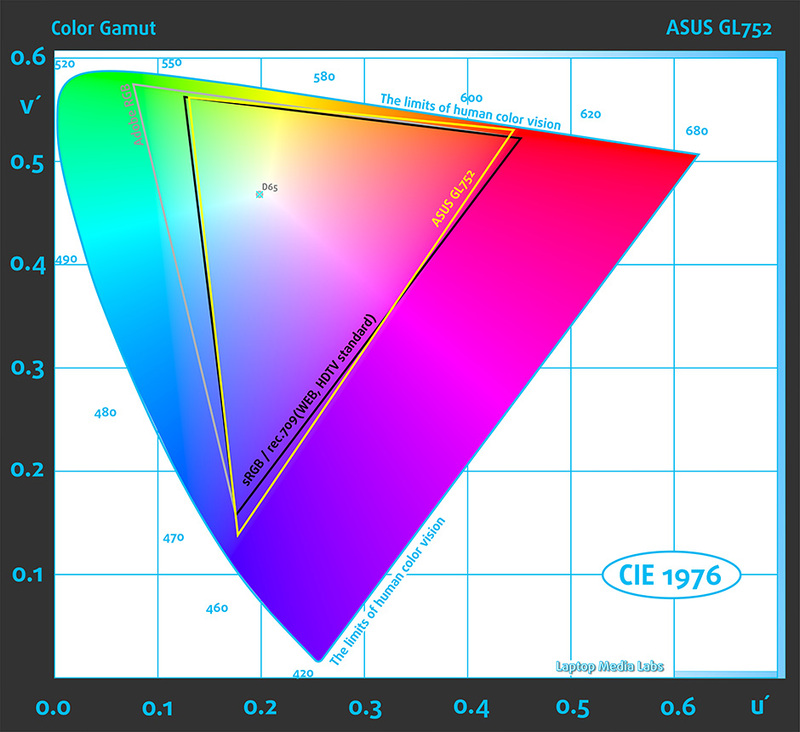 Don’t judge too quickly, though, as the panel provides about 95% sRGB color gamut coverage and more than excellent contrast ratio of 1200:1. Both of those results are not typical for your everyday TN matrix, which suggests of high-quality TN panel. Nevertheless, we cannot overcome the poor viewing angles, inherited from the TN panel and low maximum brightness (272 cd/m2). The latter will result in lowered visibility if you are gaming near a strong light source, but we have a good solution to this problem, which we will post in our upcoming full review. So if you are looking for a better image quality in a 17-inch form factor, the Acer Aspire V17 Nitro Black Edition will be a better choice and probably the 17-inch version of the Lenovo Y700 as well. High quality TN with excellent sRGB and contrast values, but still not IPS. I need a response asap please! It really depends. Photo and video editing might not be a great idea for a TN panel but for general multimedia seems nice. You will just have to constantly adjust the incline of the screen since viewing angles aren’t good. It seems I will have to stick with the 15.6″ IPS since we don’t have much to choose from where I live.